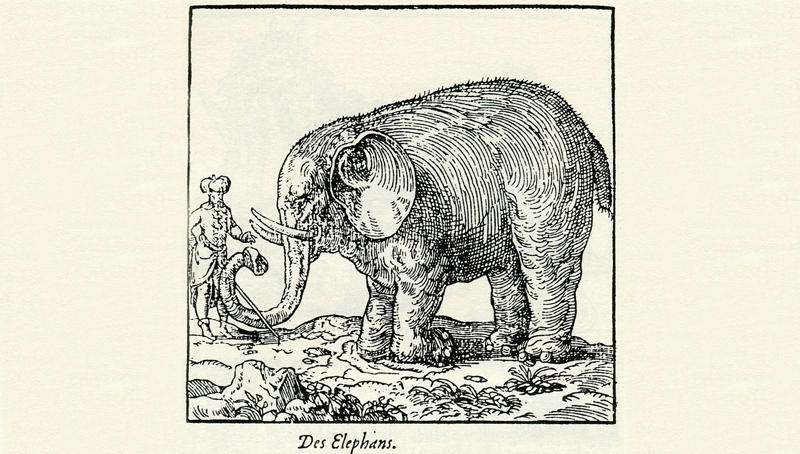 One of my favorite poems- and has been since I was a child- is “The Blind Men and the Elephant” by John Godfrey Saxe. This poem illustrates, perfectly, what I call the Danger of Reading the Single Book. I learned this poem by rote in kindergarten. We recited it to our parents at Open Day, rattling off words but hardly understanding what they meant. It would take me many re-readings and many years to appreciate it. But between my first reading this poem and my appreciating it, I had read other things as well. I was perhaps 7 or 8 when I was given my first grown up book to read by someone I no longer remember. Before then, being a voracious reader.. I had read every children’s book I could lay my hands on- mostly books by European writers which filled the homes of every other middle class child of my age: books by Enid Blyton, The Grimm Brothers, and so on. Narratives that exposed me to an unfamiliar culture but where the characters’ emotions and motivations were familiar even though they were white children. The stories always ended happily. However , this book I was given, I cannot recollect its title now was not a children’s happy-ending book. It was written by a white man whose name I forget now too. It was about colonization, slavery, sin and race. The book claims that black skin is a curse, the mark God put on Cain for killing his brother, Abel. It also claims that as part of the ongoing Divine punishment, God allowed Africans to be enslaved and colonized. It claims that the famine and dictatorships and poverty that plague many African countries Beyond that, and most disturbingly , certainly for me at that age, it claims that no black person will make heaven as we have already been precluded from it by the gravity of Cain’s sin. I grew up in a very conservative catholic home where a huge picture of a blond, blue eyed Jesus hung above the sitting room sofa. Many of my friend’s homes had more or less identical pictures with slight variations in the color of Jesus’ hair and eyes, but He remained undeniably Caucasian. We had a children’s Bible at home illustrated with pictures. In the Bible, as in the picture hanging on our wall, Jesus is white. Judas Iscariot , the disciple who denied Jesus is darker than Jesus but still Caucasian. The angels with their feathery wings have long, silky hair and white skin. The only black character is the devil with a tail and a pitch fork held between his hands. Yet, despite this, I had taken it for granted that if I lived well, heaven would have a space for me in it too., thet in Heaven I’d be scrubbed to white perfection. My mother painted vivid pictures of hell to keep her seven children on the straight and narrow. She mostly succeeded and so It was a blow to read that I was destined to hell for something I had not done. I thought it grossly unfair but I felt completely helpless to do anything about it. I did not question the veracity of the book I read because I believed in the authority and the integrity of the written word, but also because at that age, everything else I had read affirmed the truth of the book: the world was polarized ; white was good and the ideal to strive for, black was bad. I therefore thought my fate was sealed, and spent many nights having nightmares where the devil chased me round with his pitchfork, laughing as I tried to escape his clutches,. I woke up from these nightmares too scared to leave my bed. I did not share my fears with my parents because how could they console me, if I saw all around me evidence that the book was right? I was in elementary school then, and as my parents were middle class, I was sent to a good school. A good school in those days (and perhaps now still) in Nigeria, as in many parts of Africa colonized by the British, was one in which classes were taught in English, and pupils were not allowed to speak in any of their native languages. It was a major offense in my school- as it was in other schools of the same standard- to use – what is called- “vernacular” at any time during school hours. Nigeria has over 350 local languages but any pupil caught speaking in any of those was punished. Punishment ranged from being made to pay a fine to forfeiting a meal. Bwesigwe, a Ugandan writer notes in a recent article that in some schools in Uganda, students who are caught speaking a native language are shamed by being made to wear sack cloths the entire day. He also writes that in one school, the offending student is made to pin a sheet of paper to his chest and back with the words, “I am a vernacular speaker.” Such a student is jeered by other students and mocked by the teachers. At school, in social studies class, we learned that the wife of a British administrator named Nigeria (while she was still his girlfriend). We learned that a European explorer, Mungo Park, ‘discovered’ the River Niger. Whatever we learned of Nigerians taking an active part in Nigeria was limited to the patriots who fought for our independence . It was almost as if before then, before the English came in 1849 to colonize it, Nigeria was a huge void where nothing and nobody existed. That is the danger of Reading the Single Book. Nothing I had read up until then challenged the notion that I was somewhat inferior to the German family who lived in the flat below us. Nothing challenged the notion that I was valid enough to be a character in a book. An Igbo proverb says that until lions learn to tell their own tales, tales of the hunt will always glorify the hunter. Fortunately, an older, wiser writer had already begun the process of re-thinking what I had swallowed whole heartedly and had begun to articulate his thoughts in fiction., telling the story of the lions. That older, wiser, writer was Chinua Achebe. .Not long after I read that distressing book whose title I no longer remember, serendipity threw Chinua Achebe’s debut, Things Fall Apart in my path. In 1958, Things Fall Apart became one of the earliest books by an African writer to be published in the UK. “The white man is clever. He came quietly and peaceably with his religion. We were amused at his foolishness and allowed him to stay. Now he has won our brothers, and our clan can no longer act as one. He has put a knife on the things that held us together and we have fallen apart”(144-5). Reading Things Fall Apart was like a spiritual experience. Its power was so transformative that I began to question the veracity of the history lessons I learned at school. I began to see how ridiculous it was that someone would name a people that already existed; or “discover” a river that was not only already in existence but was being used by the locals. I also began to understand the tragedy of punishing someone for speaking their mother tongue, and to imagine a heaven from which my skin color did not preclude me. And a world where everything I was, was enough. It is said that Things Fall Apart is a direct response to Conrad’s Heart of Darkness, a book Achebe rigourously criticizes in essays and interviews for its reduction of Africans as extensions of the hostile and primal jungle environment in which the characters find themselves; as simple minded savages capable of only speaking in monosyllables, and who are the evil foil to the Europeans’ goodness. “When I began going to school and learned to read, I encountered stories of other people and other lands. In one of my essays, I remember the kind of things that fascinated me. Weird things, even, about a wizard who lived in Africa and went to China to find a lamp . . . Fascinating to me because they were about things remote, and almost ethereal. For Achebe, the conquest and occupation of Nigeria was an unforgivable crime. He was determined to play a role in remedying the situation. If he could not liberateNigeria politically, he would give her back a sense of respect via fiction. He saw his duty towards the reader as one of a transforming agent. He understood that that is what books do. I began to discover other books after Achebe, novels by Emecheta and Flora Nwapa and Martina Nwakoby. Novels populated by Africans, narratives I wish had been available and accessible to me at the time I was reading Blyton and the Grimm brothers, so that I could at the same time as I was discovering other cultures also develop the self esteem that comes from seeing people like you represented in books. When I moved to Belgium and began to write, I wanted to, like Achebe, be a historian as well, telling the stories of my Africa because I had been confronted by people who spoke of Africa as if it were a country. I also, wanted to, I suppose get into a conversation with fellow Africans for whom the stories are familiar. This is perhaps most evident in the first book I published in Belgium, The Phoenix.. Challenging the notion of the Single Story is not enough. In fact, it becomes almost a useless project if those stories are not published and read and therefore do not contribute to the transformation agenda, hence, my plea for a cross cultural publication and reading. Young readers, especially, believe in the integrity of the written word. They believe that the written cannot lie. This is the time to introduce them to books that not only affirm their sense of belonging but that also introduces them to characters whose cultures or ways of life might be unfamiliar but in whom, nevertheless, they discover a shared humanity. Books that open the world for them beyond their culture or country or religion. For it is through reading, and reading widely and across cultures that we learn to question whatever truths or biases have been passed to us. One of the most hopeful Igbo proverbs I know says that the chicken scratches ahead and scratches behind and asks her children which is better. Its implication is that the future is greater than the past (or the present) : Nkiruka. Scratching is an act of writing, and one could argue that the chicken’s children come to the answer to their mother’s question through reading her multiple scratchings. We cannot grow if we read the single book.